I don’t know if it was attending the Museums & the Web conference back in April or just simply recognizing the amount of time I spend navigating technology issues in the museum, but I recently have had a good old-fashioned “freak out” when it comes to museum tech. Touch screens, apps, MOOCs, mobile-optimized web design, iPad tours, Hangouts, social media, photo sharing, Vine, Instagram, YouTube … EEK! The budgets and staff support for technology at museums seem to be growing and growing, with some museums investing more in a single technology project than other museums have in their entire annual operating budget. I’ve certainly been an advocate for this shift in 21st century museums — don’t get me wrong. As a museum blogger but also as a Director of Education, I have truly come to understand and appreciate the benefits of online engagement and the use of technology for interpretation and learning. But when I head into the galleries to facilitate a learning experience, technology often falls away and I find myself focusing entirely on the analog elements of museum teaching. Are we becoming too reliant on technology in museum education? As we focus more and more on digital and online experiencea, are we sacrificing any of the human-centered elements that have been at the core of museum education for more than a century? If your museum lost power, how would that affect the learning experience in the galleries and across programming? During my visit to the MCA San Diego, they had the Lifelike exhibition on view at their La Jolla building. So in preparation for my talk, I took some time to explore the online and digital side of people’s experiences with this exhibition — even adding my own Instagram photos and Vine videos to the mix — and presented these incredible layers as part of my talk about the “plugged in” experience. I also brought in to the conversation a series of technology projects gaining attention in recent years, including Google Art Project, online courses and Google Hangouts via museums like MoMA, the Cleveland Museum of Art’s Gallery One and the ArtLens app (showing this project always gets some oohs and aahs), and the Rijksmuseum’s new website. So with these raw questions laid out, I’m curious about other people’s thoughts. Are museums becoming too reliant on technology and the internet? Are we sacrificing any of our core values as we dedicate more and more resources and staff to technology initiatives? How can we create a meaningful balance between the “unplugged” and the “plugged in” as we move forward into the 21st century? Join the conversation below. The digital age is here to stay. The question then is how we harness it to the best possible effect, not whether we use or don’t use it in museums. In my own visitor research as well as that of other’s I have read, visitors say that they are there for the objects. They want to see and/or do things that they can’t do anywhere else. Whether digital technologies enhance or detract from their visit seems to be dependent to some degree on vistors’ personal attitude towards or facility with digital technologies. It also has to do with the ease of use or seamlessness with which the technology is integrated into the museum experience. If there is much of a learning curve needed to use it, many visitors opt out. Used in the right situation with the right touch, digital technologies can enhance a visit in ways that no other delivery system can do. I think the touch needs to be a light one. It’s like spice in cooking – a little goes a long way. Museum websites, on the other hand, that are used by people before or after a museum visit, or because they are not able to visit and want some sort of experience with that museum are a different issue from the use of digital technologies as part of the in-museum interpretive experience. While there are some great museum websites out there, so many are not very visitor centered. The work needed on those sites is not particularly sophisticated technologically. Rather it’s about designing the experience from the user perspective to provide clear, concise, and useful information for users. For example, if a family wants to visit an art museum, that family needs to know that family programs and events are most likely housed under a the “Education” tab. How is that intuitive for people? It is rarely in the “Planning Your Visit” tab. Why is that? Are museums too reliant on the internet? I can’t answer that question. The better question for me is, how are museums relying on the internet and to what end? I had an experience about 15 years ago that to me demonstrated the eternal value of the real. At the site/museum where I worked at the time at we did an “archaeology” day where several thousands school groups came through in a two-day period. My station explained archaeological methods in 15 minutes. After about 12 minutes, the kids always were getting antsy. The last thing I demonstrated was flotation analysis whereby bits of seeds and other tiny remains of prehistoric cultures were recovered. As I would walk down the line of students and say something like “This is not like what people were eating 3500 years ago, but these are the actual seeds from the fruits and nuts and the bones from the actual fish they were eating . . .” all attention was recovered. I conducted this experiment year after year to be certain it was not a fluke. Lesson learned – the real has meaning. Today, in the hot 95 degree sun, visitors will readily spend an hour throwing darts with an atlatl – a prehistoric hunting tool – at the museum where I work. Again the real. I have a set of examples i have experienced that I use in class when I teach Museum Practices to graduate students each fall – one set highlights digital technology in museums with either out-of-order signs, no signs but not functioning, or technology that is poorly explained and cannot be understood. I enjoy standing around watching visitors negotiate these situations. I contrast that set with a second set of examples that use low or no-tech exhibits to convey the message. I then ask the student which visitor was most successfully engaged? We have thought through this process of plugged in vs. unplugged at our museum, and of course, neither answer is right. We have used our mission as a starting point in assessing same coupled with determining our niche in the educational process. At our museum we have a prehistoric earthworks, a nature trail with a medicinal plant sanctuary, a museum with a hands-on archaeology lab. We have not developed a plugged-in approach with these resources to date. Our plugged-in plans primarily fall in two areas – our intent is to begin using QR codes more to provide additional information along our nature trail and at stations in our museum. As well, in response to specific survey feedback, we intend to simply load more information (e.g., photographs, videos, written reports) online and linked through our website as a resource base. Our thoughts are to make decisions on plugged in vs. unplugged based on accomplishing the goals of the project/exhibit – not for the sake of having the latest technology. I have no concern that somehow if we are not digital that we will not be able to communicate effectively with a digital native generation. 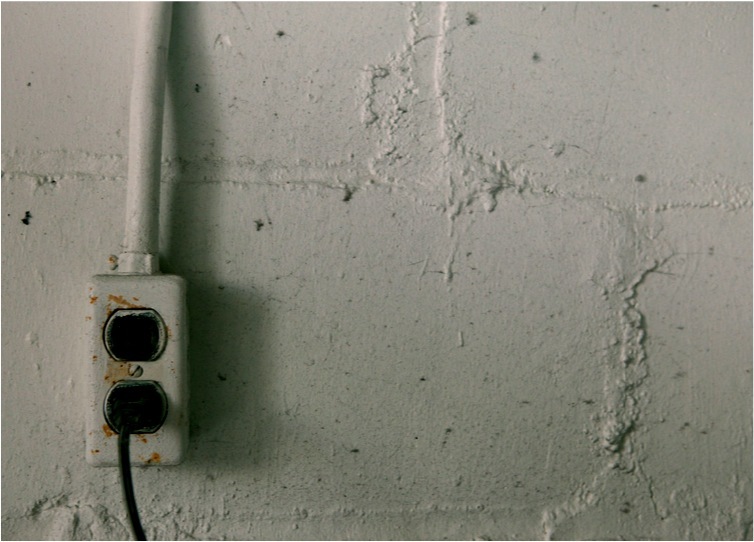 I find that the bottom line today is that plugged in vs. unplugged is really a false opposition. The real question is how will we most effectively engage the visitor. As an aside, at the Brooks Museum in Memphis, there is always the obligatory children’s station at major exhibit openings. There is always an iPad something or the other along with create your own art, other tactile exhibits, and dress-up in the era of the artist who created the exhibit. I generally observe that the children are engaged with the hands-on art work and dress-up, ignore the iPad, and are never seen actually wondering through the gallery! As Marianna Adams so thoughtfully pointed out in her comment, we spend enormous amounts of museum resources on maintaining docent programs, and there is an analogy to be drawn there in terms of technology in the service of interpretation. If you think of technology as the same kind of tool as the printing press and movable type were in the 15th century, you see that the tool used to deliver the content is not as important as the content itself. When the appropriate technology (what ever it is) is matched to outstanding content, the results are great interpretation that helps our visitors have really meaningful experiences in our museums. The right match is difficult, and the wrong match sometimes results in museum education being too reliant on technology, sometimes it results in museum education not relying on technology enough. This conversation reminds me of the ongoing debate about slow-looking (another great dialogue at MW2013). I don’t think we can slow people down too much (unless they WANT to slow down), but I DO think we can provide experiences that help people filter out some of the noise while they’re moving. I believe our job as museum educators is to service the visitors’ and how they want to make their own meaningful experience with a museum. Our audiences are diverse and we, therefore, must develop diverse ways to meet their broad range of desires. What we have to guard against is letting our personal biases about how WE like to experience a museum become the single lens through which we conceive all that we do. We know that a family coming to the museum with a 4 year old has a very different agenda than a couple of college students on a date or a lifelong art lover who frequents museums alone or three middle aged women bringing an out of town friend to the galleries before they have lunch at our restaurant – so we design programs to try to meet all of these diverse agendas. Technology is simply another way to meet audience desires. Technology lets us meet the desires of audiences we previously couldn’t reach because they were not at our location (and, boy, is Marianna right that what we need to look at first and foremost is our websites, which should be among the most dynamic, people-centered cultural resources on the web – but are not). Technology lets us be more flexible. Some of our audience wants an unplugged, contemplative experience, and those people simply don’t pick up the technology – neither do they go on tours, participate in family programs, or performances, or go to lectures – but we don’t stop offering those things, because some people do want them. Some of our audience wants to delve deeply into the context of a certain exhibit, while the person next to them is fine with a 75-word label, and the person next to them doesn’t want to read anything at all. Technology lets us deliver more content in a small space, such as the digitally delivered material on ancient Sicilian coins that is part of the Getty Villa’s current exhibition. It’s there for that portion of our audience that are intrigued by coins and the people who aren’t just pass on by. Over the source of my career I’ve seen museum professionals get really frustrated with audiences who are at the museum with agendas that are widely divergent from their own. I’ve seen museum educators (and have done so myself) speak passionately about how we must deliver life-changing uplifting soaring moments of human engagement in the museum. Some of our audience is looking for something like that – and when it happens, it’s magic and I love it. But I’ve also come to recognize that some people are delighted to have a 30 second Facebook interaction with a museum which lets them learn an interesting little fact in the middle of a busy day. I consider it my responsibility to meet the audience where they are, not where I want them to be, and that means acknowledging that sometimes what I’m going to be working on is not profound, but mundane. But I want to make space in the museum for a great range of experiences. Technology can help me do that. So can pipe cleaners, and my own voice. So I use them all. As always, these major communications questions come down for me to how clear we are about our mission. A lot of the chatter about plugged-in museums, and even many of the examples in this very interesting talk, focus on having more people see collections or practice art/history/science. I’m persuaded that our mission is not really to expose our visitors to collections or to art/history/science practice per se, but to use the collections to expose people to each other, and through that, to themselves. Interactivity has become so heavily focused on interactions between people and technology that we don’t invest nearly as much in interactions among people. Empowering museum visitors to be better neighbors, citizens, family members, and self-educators is the thing we do better than anyone else. That function, in my view, is why we spend money on collections, and why we have tax-exempt status. Framing the question of technology investments in terms of connecting people to each other changes the possibilities, I think. Several examples in this talk show how to do that, but there are many non-tech ways that work powerfully too, as comments above, and even the author’s own unease suggest. My perspective would be that, if our museum is exhausting its ability to help people connect to each other non-digitally, or are hindered in that connecting work by geography, language, ability, or collection type, then let’s go for it with technology. But if we can do the work non-digitally, then let’s challenge ourselves to push that to the limit first. The best use of digital technology I have ever seen in any museum anywhere in the world was at the National Museum of Nature and Science in Tokyo. To overcome the obvious language barrier, the exhibits of fossils, naturalia and artifacts were very light on labeling, with the lion’s share of information being available on touch-screen computers. You could pick your language, the item you were curious about, and go to whatever depth you want, from a simple name, location and brief paragraph to reams of text on what it is, how it was found, and its significance, with extra photos and videos. If money were no object, there is no reason why this sort of thing couldn’t be downloaded as a smartphone app or accessible as a website tailored to mobile devices (ensuring that your facility is wired for free WiFi). Maybe with your admission you get a password for the download or site access. Equipped with QR code readers, you could have people use their phones like a “secret decoder” that could bring up information in their language of choice, or add “enhanced reality” features that could show a mini Mayan temple or put flesh on the Woolly Mammoth bones. You could set it up to let people post their discoveries to social media, or post comments to your site. The sky’s the limit, so long as it is used to facilitate and support those connections that people come to the museum to get.